With Microsoft Lumia 535 already on the market shelves, another new budget friendly smartphone , Lumia 435, might be releasing soon according to the leaks. Since the possible name is ‘435’, it can be deduced that the specifications of the smartphone will be much lower than compared to Lumia 535. 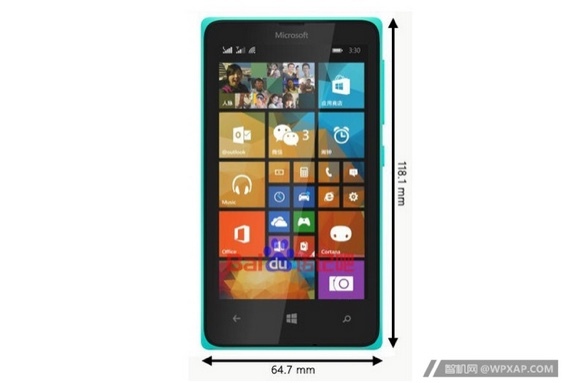 The Microsoft Lumia 435 would pack a Qualcomm Snapdragon 200 chipset similar to the Lumia 535, a 4-inch WVGA display (235 ppi), 5-megapixel rear camera and measures 118.1 mm x 64.7 mm. As Lumia 535 has already launched at only USD 150, (Tk 11,499 in Bangladesh), the 435 would cost definitely cost cheaper than this. Since it’s a leak let’s take this information lightly. We will update you as soon as there’s any information regarding this device.